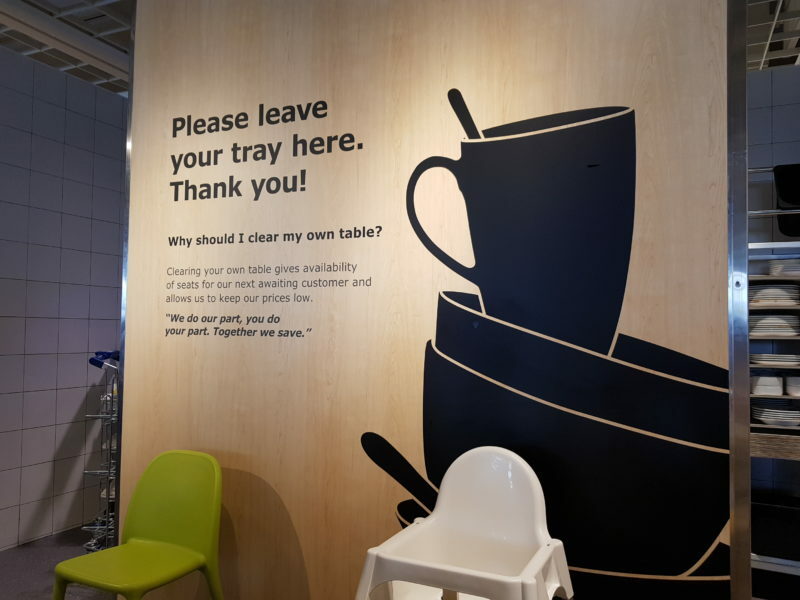 IKEA has two branches in Singapore, one at Alexandra and another at Tampines. 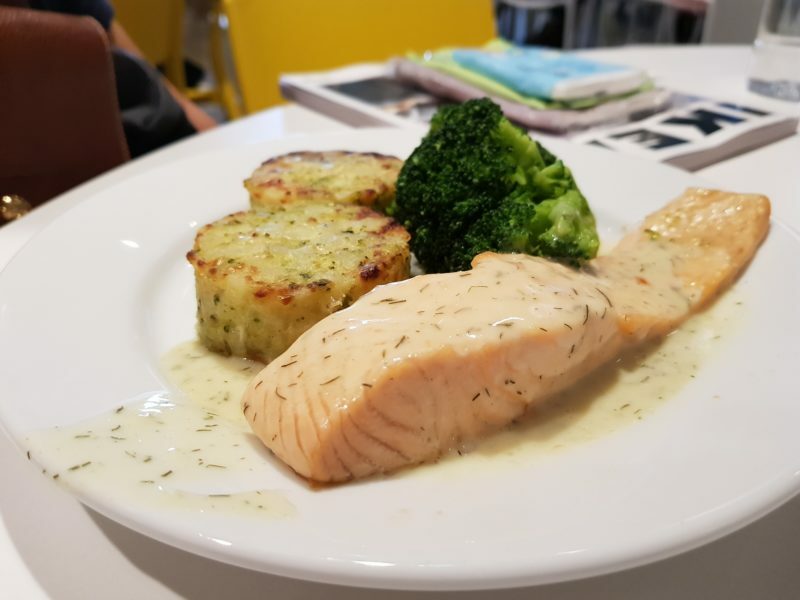 I recently went to IKEA Tampines for some shopping and dining. 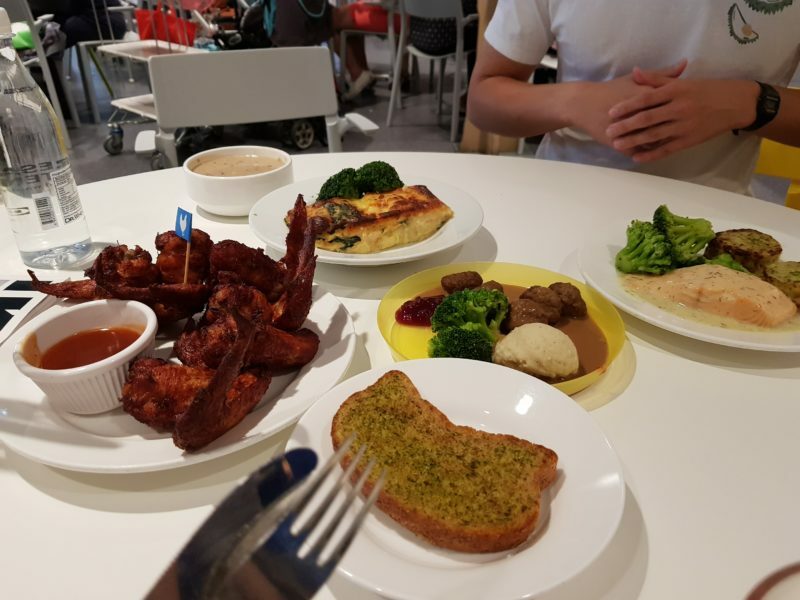 Anyone who has been to IKEA since they were kids would definitely crave for the meatballs for whatever reason. As expected, the dining hall was very crowded and we had to wait quite awhile to get seats. Even after getting seats, you need to join the long queue in buying food. Luckily, the food are already prepared in advance and you just have to choose what you want to eat. They have all kinds of Swedish food and the meatballs are probably the most popular here. This is the larger plate which has 15 meatballs, served with mashed potatoes, broccoli, strawberry jam and topped with gravy. The combination of meatballs with the strawberry and gravy has always been my favorite in IKEA. While it may not taste exactly the same as a decade ago, it’s still good. I wish they had more gravy though. 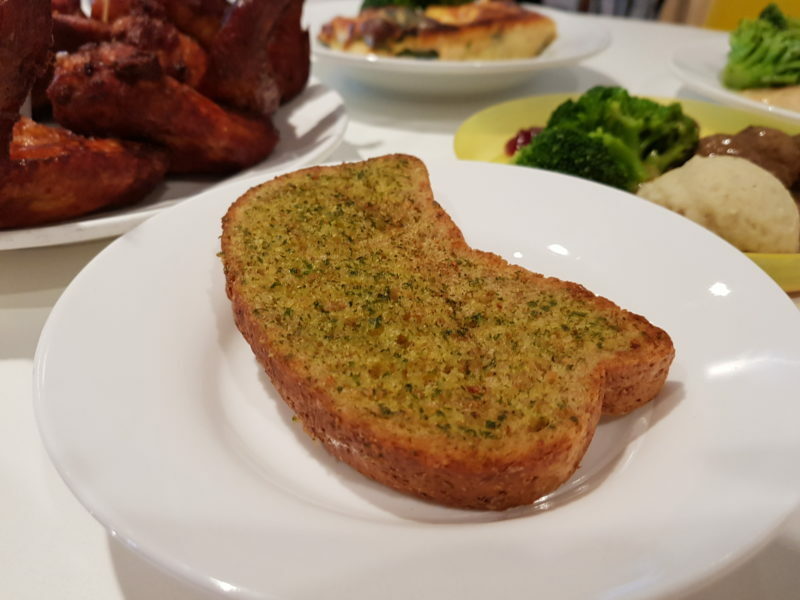 You can also order additional food like garlic bread. 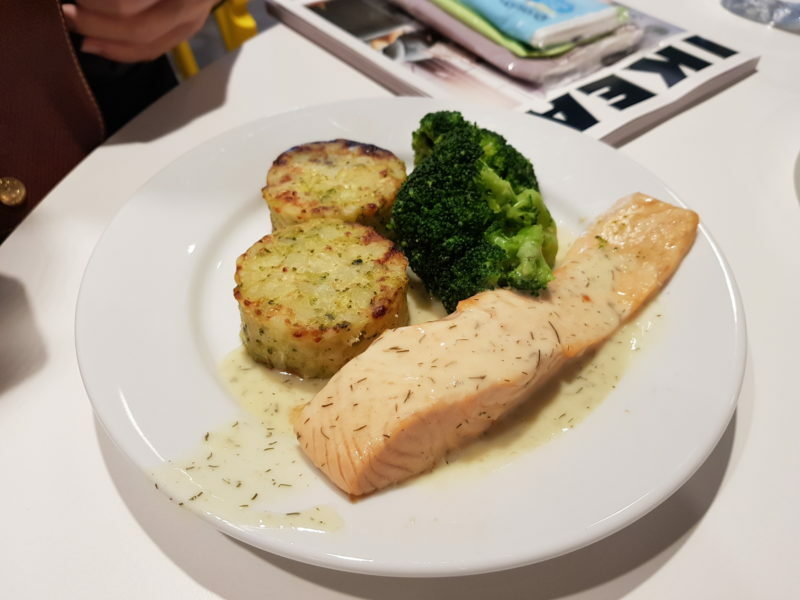 This is their salmon with potato cakes and broccoli. The potato was pretty good and it tasted rather buttery. The salmon is decent as it always has been. 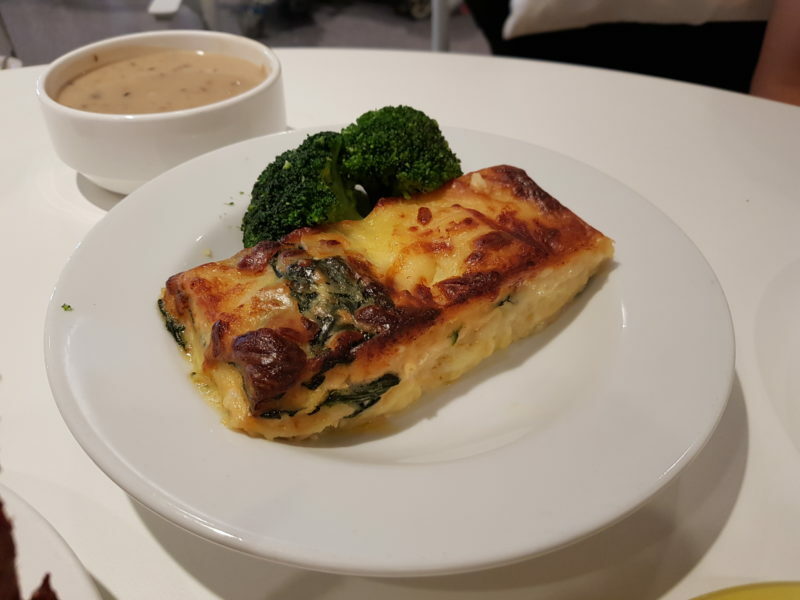 They also have salmon lasagna. The lasagna isn’t the very moist type like the one in some places. It’s rather dry but it’s still delicious. You get chunks of salmon inside of it. Do give it a try. 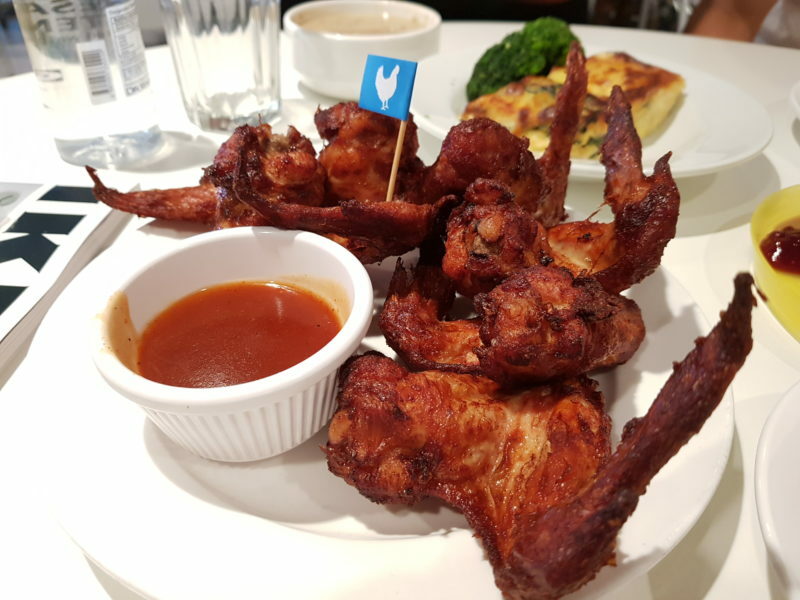 Next up is another popular dish, which is their fried chicken wings. It’s a great dish for sharing and it comes with its own barbecue sauce. The sauce is ordinary but the wings are not bad at all. They are crispy on the outside and is well marinated. 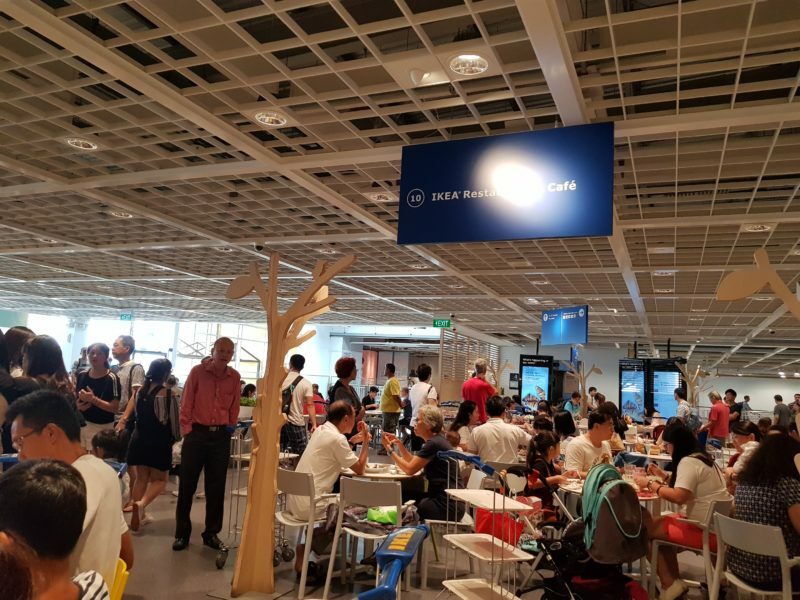 All in all, the food at IKEA (Tampines) Singapore is still good over the years, but do prepare to wait quite a bit before getting seats, especially during school holidays. 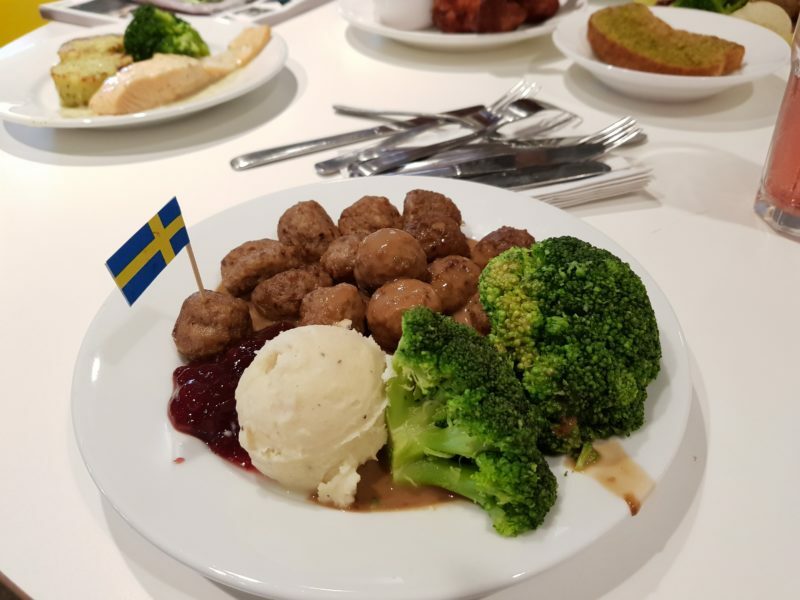 If you’re (somehow) new to IKEA, do order the meatballs as it’s sort of an iconic dish there. Also, remember to clear your table after you’re done.